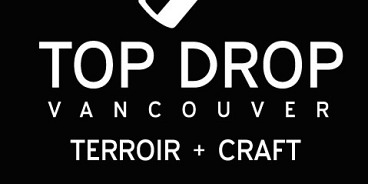 Top Drop Vancouver is a brand new, two-day consumer and trade event, bringing together a collection of 24 wineries, along with a handful of breweries and food purveyors who are passionate about their craft. The importance in farming one’s own fruit and/or being constantly engaged with grape-growers to ensure sustainability and a high standard of viticultural practices. Wines that reflect their vintage, and wines that aren’t suffocated by vinicultural trickery. Winemaking decisions that are made by a winemaker, and not by a board of directors or marketing team. These kinds of wines, wines of integrity, need a dedicated time and place to have their story told. This is why they’ve created Top Drop Vancouver, and they’re incredibly excited to share these stories with you. Here’s who’s participating and here’s how to purchase tickets.